How does a team use a computer-mediated technology to share and reuse knowledge when the team is inter-organizational and virtual, when the team must compete for the attention of team members with collocated teams, and when the task is the creation of a completely new innovation? 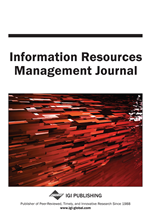 From a review of the literature on knowledge sharing and reuse using collaborative tools, three propositions are generated about the likely behavior of the team in using the collaborative tool and reusing the knowledge put in the knowledge repository. A multi-method longitudinal research study of this design team was conducted over their ten-month design effort. Both qualitative and quantitative data were obtained. Results indicated that the propositions from the literature were insufficient to explain the behavior of the team. We found that ambiguity of the task does not determine use of a collaborative tool; that tool use does not increase with experience; and that knowledge that is perceived as transient (whether it really is transient or not) is unlikely to be referenced properly for later search and retrieval. Implications for practice and theory are discussed.